The Joint Admission and Matriculation Board, JAMB is set to Announce Mock Examination Date and according to the board, the Jamb Mock Exam is optional. Finally, the Jamb UTME Mock Exam Date is going to hold on Monday, 1st April, 2019. 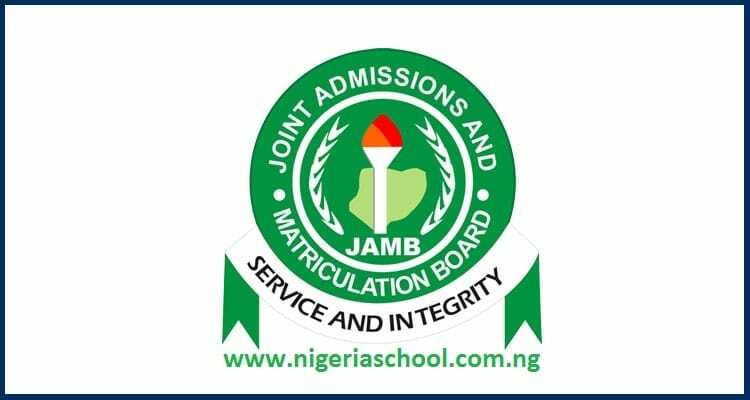 The Joint admission and matriculation board, JAMB has highlight that there will be a mock examination before the actual 2019 UTME. The date of the JAMB Mock examination has been announced and it will take place on Saturday, 23rd March, 2019, the JAMB Mock exam will now take place on Monday, 1st April, 2019. According to the board, the purpose of the JAMB mock exam is to allow candidates feel what the main examination will look like. The Mock exam will take place on the date announced above. Update: The JAMB Mock Exam date has been postponed till further notice. According to the management, the proposed date (23rd March, 2019) for the 2019 JAMB mock examination is no longer feasible. However, the board stated that the mock examination is COMPLETELY OPTIONAL. In other word, it is not really compulsory for writing the actual JAMB UTME so you can choose to take the mock examination or not to. Official: JAMB Mock Examination Slip printing has commenced. All interested persons should proceed to print their slip. Note: Candidates who indicate interest in the mock examination will be informed when to re-print their slip. Also, the details will be sent to your mobile phones and email. Step 2. When the opens up, enter your Jamb Registration Number or email address used to create your Jamb profile. Step 3. Please click on the “Print Examination Slip” for the Pop-Up to Print. For Candidates who did not indicate interest to write the Mock Exam, you will most likely not be granted access to print any slip. Please note that the Main UTME Exam e-Slips have been put on hold, maybe until after registrations. Sorry I am based in lagos my center is at ekiti can I still have my mock here in lagos or I still have to travel? We will inform you when they do. Please can someone register in abuja and take the exam in IMO State. Please visit any registered Jamb centre to confirm if it is possible. The exam is expected to hold this January. But the exact date has not been announced yet. Nope. It is not compulsory. The details are yet to be announced. But I think everyone who registered for the JAMB exam will be eligible for the mock exam. We are certain that it will NOT hold. I have printed my Jamb mock e-slip for 2019 examination.